Workplace stress kills, but we can learn to defeat it. We live in a fast-paced world. It’s also a world with no end to distractions, demands on our time, and work to be done. Taken together, it’s a recipe that adds up to one universal constant: stress. As a society, we’ve even become so accustomed to stress that we practically will it into existence. 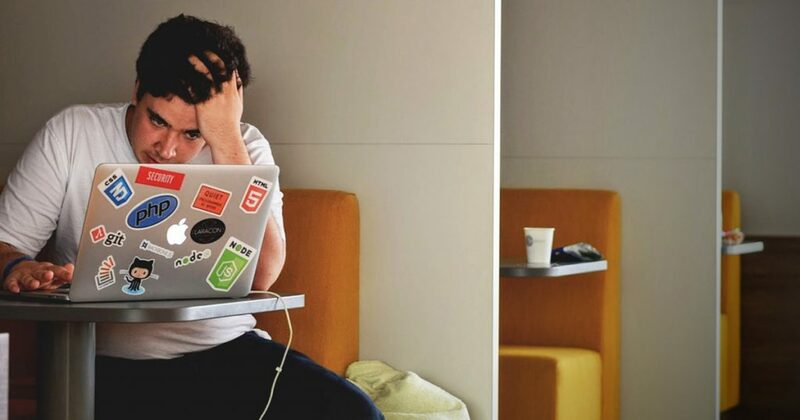 Although sources of stress stem from a variety of parts of daily life, there’s one source that seems to be near universal – stress in the workplace. The stress we feel from work also becomes a vicious cycle for many, as we tend to take it home with us. Recent research suggests that our collective rising stress levels are beginning to rob us of our ability to sleep, which is going to have a deleterious effect on our health. That’s in addition to the negative health effects that stress itself already has on us, which range from causing or exacerbating mental health problems like depression, all the way to affecting our cardiovascular condition over the long term. What’s clear is that we’ve all got to start doing something to alleviate our stress, and soon. What’s less clear, however, is exactly what we can do about it. Since research suggest that 65% of people cite work-related issues as their top stressor, it’s not as simple as avoiding the problem. After all, work isn’t something we can eliminate from our lives, even if we wanted to. That means our best shot at beating our stress lies with mitigation – both by pre-empting as much stress as possible and learning better methods for coping when stress we can’t avoid comes our way. The good news is that there’s a new body of research that might point the way towards a workplace stress-busting option that most people wouldn’t have considered, and it’s something with plenty of additional benefits, to boot. The secret to beating stress is… learning? According to research detailed in the Journal of Applied Psychology, engaging in learning activities did a far better job at alleviating the negative outcomes associated with workplace stress than did more common approaches, like taking a break from work or ‘powering through’ the stressful task. In a surprising twist, the study revealed that the kinds of relaxing activities that most workers rely on for stress management had no effect whatsoever on their ability to cope with their stress. The study found that employees that used relaxation techniques in response to stress still had the same amount of negative emotions and had the same proclivity for behaving badly as they did on days when they did nothing to relieve stress at all. The finding seems to suggest that many of the go-to behaviours that people rely on to navigate their stressful work days have little more than a placebo effect on their emotional states or on their behavioural outcomes. By contrast, study participants that engaged in learning activities while at work showed a pronounced reduction in negative emotional states associated with stress and had fewer instances of acting out (like rudeness to coworkers, or swiping office supplies). The study also showed that the benefits became more common for the participants that engaged in the most learning activities, which helps to establish a causal relationship between learning and stress reduction. Another similar study from the Journal of General Internal Medicine found that medical residents that worked within teams that emphasized learning behaviour showed a decreased incidence of burnout – which is a problem that plagues the pressure-packed medical industry. This complimentary finding seems to indicate that the stress-reducing benefits of learning tend to be social. That means that even members of a group of workers that don’t participate in learning activities themselves still can benefit from the learning behaviours of others in their circle, and reap the rewards of a decreased stress level. The bottom line that seems to be evident here is that learning is a potent tool in minimising the deleterious effects of stress in the workplace. It’s a great way to expand our horizons and gain new skills, which should also have a positive effect on our career prospects. Perhaps best of all is the fact that learning is something that is accessible to everyone, so there’s no real barrier to entry. Today, people in every corner of the world can engage in learning activities online or in person, depending on which method suits their learning style and schedule better. Even those who prefer less-directed forms of study can take advantage of the myriad free learning resources available online to help them better themselves and manage their stress levels. It’s actually one of the few uses of the internet that is beneficial to our well being (we’re looking at you, social media). What it all boils down to is the fact that stress in the workplace is killing us, but we have the tools and the ability to stave off its worst effects – all while bettering ourselves and increasing the knowledge we possess. Short of eliminating work entirely, there’s no more beneficial way to tackle the problem, and the benefits are tremendous. With no downsides to be found, sacrificing a little time to learn new things sounds like a pretty good trade-off to me.